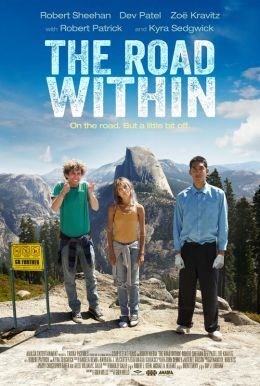 After the passing of his mother, Vincent (Robert Sheehan), a young man with Tourette’s, finds himself at a center for those dealing with similar psychological disorders. Soon, he finds company in Marie (Zoë Kravitz), a young woman at the center for her anorexia, and Alex (Dev Patel), his OCD-stricken roommate. These unlikely companions, with clashing personalities, find themselves on a three-day journey, making for hilarious antics and unexpected new friendships. With Dr. Rose (Kyra Sedgwick), the head of the center, and Vincent’s father (Robert Patrick) in pursuit, Vincent, Marie and Alex find they’re perfectly capable of living their lives according to their own rules, while breaking some others in the meantime in this coming-of-age road comedy.